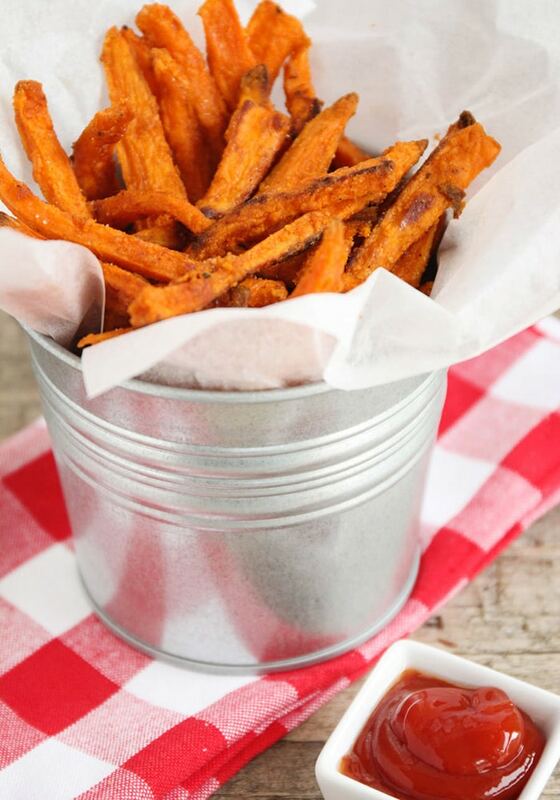 These crispy sweet potato fries are simple and easy to make. Oven baked and seasoned to perfection, these fries are a restaurant quality side dish you can make at home! These fries are such a delicious and easy side dish to make. Some of my other favorite sides is this Creamy Pasta Salad recipe, a batch of Roasted Vegetables and these Garlic Mashed Potatoes. 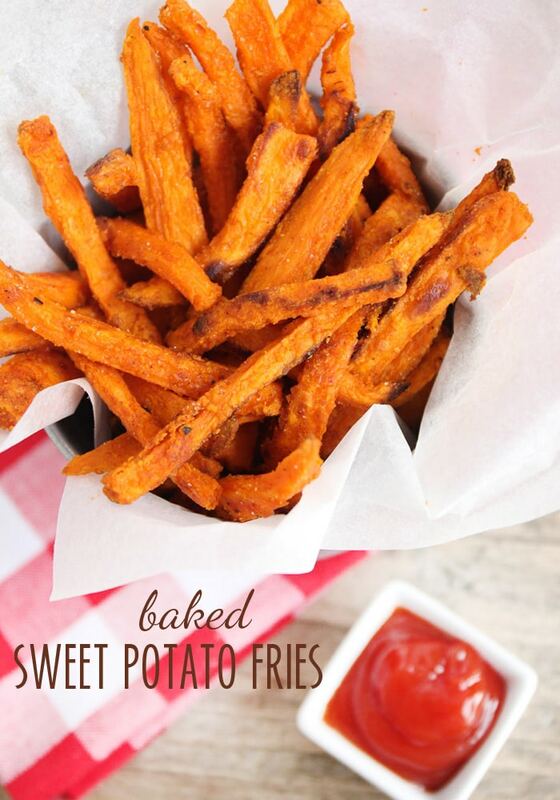 Who here loves crispy sweet potato fries? 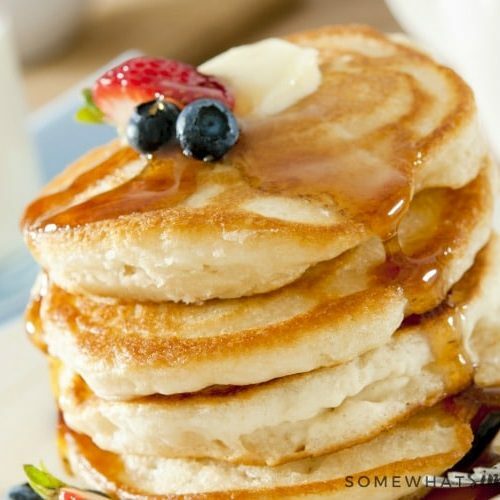 I always order them when I see them on the menu, and they are one of my favorites. I love that how sweet potatoes have so much more flavor than regular fries! I’ve tried to make them at home several times, but they’ve never turned out quite the way I want, until now. These baked sweet potato fries are crispy on the outside, soft on the inside, and super flavorful. 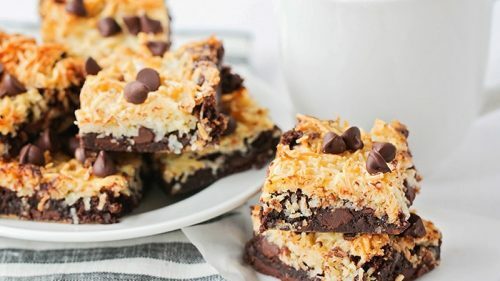 They were a big hit with my husband and kids, and pretty much every day they beg me to make more. 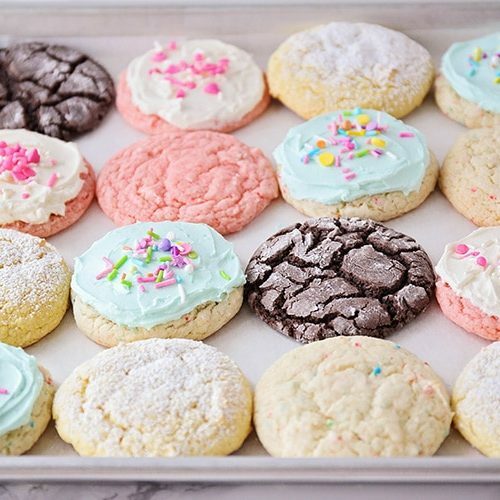 We can’t get enough of them! Although it does take a little time to make them, the process is super simple and they’re definitely worth the time. You’ll start by cutting up your sweet potatoes and putting them in a bowl full of water to let them soak. Be sure you have enough water in the bowl to cover them. Add two teaspoons of salt to the water and let them soak for at least 30 minutes but longer if you have time. About half way through the soaking time, preheat your oven to 450 degrees F.
Cut your sweet potatoes as evenly as possible. If they vary in size too much the larger slices will be over-cooked and the smaller pieces will be under-cooked. Using a french fry cutter is a quick and easy way to make sure they’re pretty uniform. Soak the sweet potatoes for a long period of time. 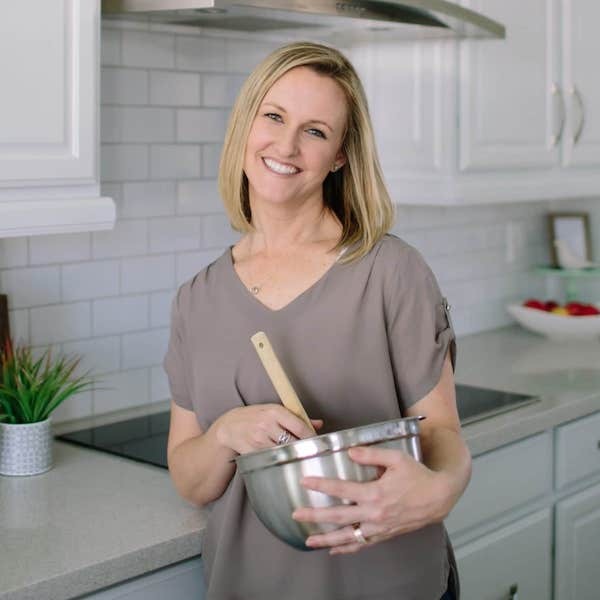 Sweet potatoes have excess starch on them so by soaking them it washes this away which will allow your fries to crisp better while baking in the oven. The minimum you need to soak them is 30 minutes but I usually start soaking them in the morning so they’re ready for dinner. Make sure to spread the fries evenly on your baking sheet. 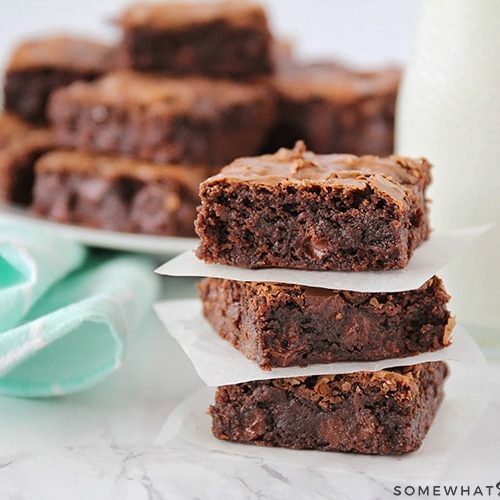 There’s no shame in doubling this recipe but just make sure to use multiple baking sheets so there’s enough room. If they’re too crowded on the sheet a good portion of them will fail to crisp. Remember to flip the fries half way through baking. This will allow all of the sweet potato fries to crisp evenly all the way around. 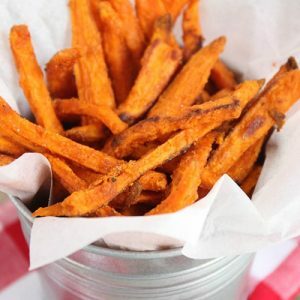 These crispy sweet potato fries are simple and easy to make. Oven baked to perfection, these fries are a restaurant quality side dish you can make at home! 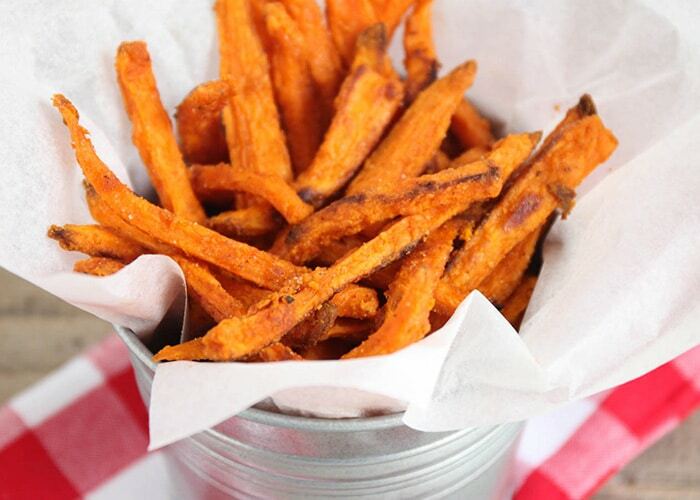 Place the sweet potato sticks in a bowl and add enough cold water to cover them. Sprinkle in two teaspoons of salt and allow the sticks to soak for at least 30 minutes (longer if possible). Preheat the oven to 450 with a baking sheet inside. When the sweet potatoes are done soaking, drain them and place on a paper towel to dry. Add the corn starch, one teaspoon salt, the paprika, garlic powder, black pepper, and cumin to a gallon sized ziploc bag. Add the sweet potato sticks to the bag and shake to coat. Add the vegetable oil to the bag and shake again to coat. Remove the hot baking sheet from the oven and place a piece of parchment paper on top. 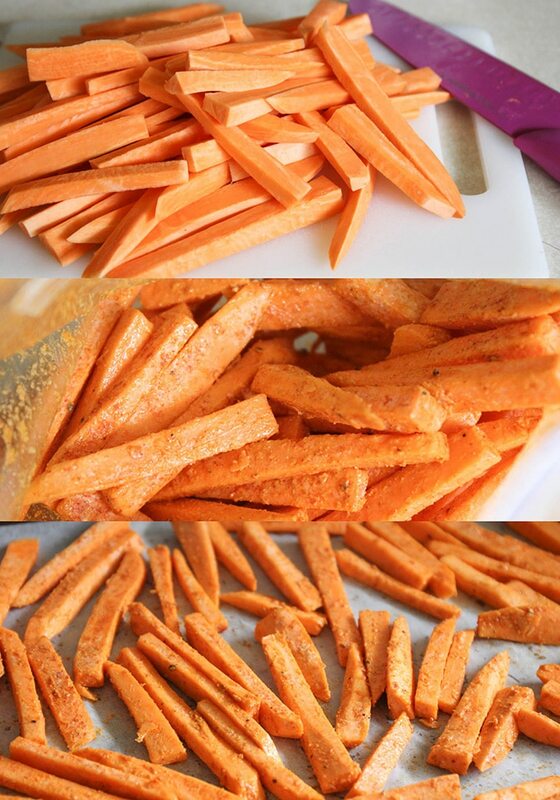 Pour the sweet potato sticks over the top and spread them apart as much as possible. Return the baking sheet to the oven and bake the fries for 20 minutes. Flip the fries and continue to bake for another 10-15 minutes, or until crisp. Remove from the oven and serve hot, sprinkling with additional salt if desired. These are my family’s favorite! 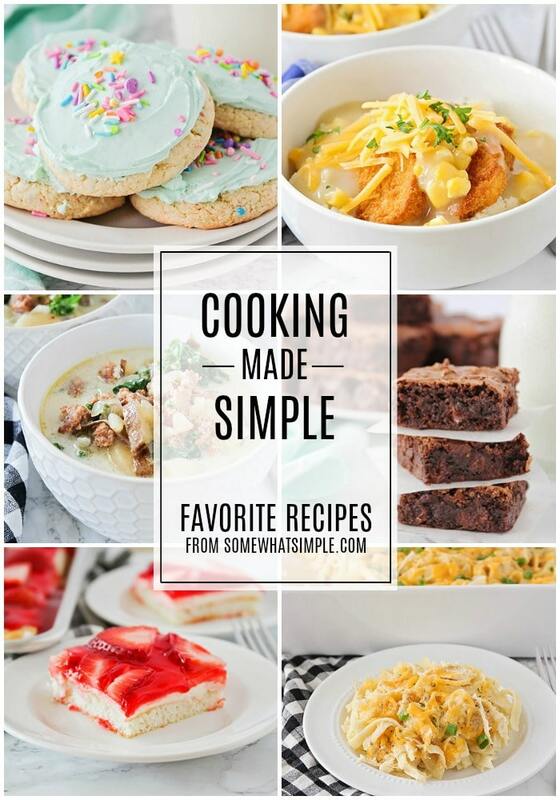 I am making them this weekend with burgers! I know these are going to be a hit with my family! Thanks for the tip about soaking to help the crisp. You’re welcome! Let me know how they turn out. My hubby has me hooked on sweet potato anything!! I can’t wait to make these for him..they are his favorite! My favorite side by far! Love, love, love them. I love sweet potato fries. Can’t find a good place to order them. Now I can just make them.